Brands face a very different marketplace than they did decades ago. The entire customer experience has shifted online and today’s buyers and consumers are in full control of their online journey, with a rising expectation for personalized content experiences every step of the way. Consumer brands must take action and digitally reinvent themselves in order to remain relevant for the continuously evolving preferences of their audience. But how? 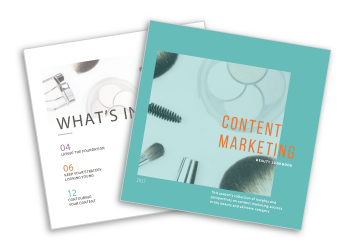 Download the Content Marketing Beauty Lookbook today!